Dr. Yang, originally from Taipei and Vancouver, has completed her medical school training at Vanderbilt University, and AP/CP pathology residency and gastrointestinal/liver pathology fellowship at UCLA. From 2010-2013, she was a staff anatomic pathologist at St. Paul’s Hospital in Vancouver, British Columbia and a faculty member at University of British Columbia. From 2013-2017, she was an attending pathologist at Columbia University Medical Center in New York. 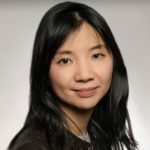 Dr. Yang currently works at Vancouver General Hospital in British Columbia and enjoys close collaborations with her pathology and clinical colleagues in Canada, Germany and the United States. Dr. Yang’s research interest is in histomorphology as well as molecular pathology of rare diseases of the gastrointestinal tract.